Syrian Anarchist banner: “I am truly free only when all human beings are equally free” – Bakunin, 1871. 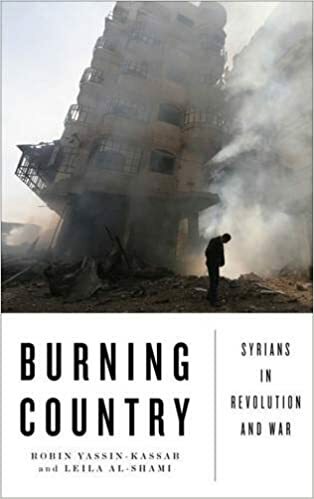 On Saturday October 29th, 2016, Leila Al Shami and Robin Yassin Kassab, authors of the book ‘Burning Country: Syrians in Revolution and War’, were invited by the London Anarchist Book Fair to give a talk on Syria. As Leila wrote yesterday night, they “had in particular wanted to focus on anti-authoritarian struggles, self-organization as well as issues of militarism, sectarianism and the rise of Islamist extremist groups.” Shortly before speaking, Robin told me that some people were going around the book fair saying that ‘a pro-Jihadi Syrian nationalist fascist’ was going to give a talk and that he must be prevented from doing so. We laughed it off. Robin and Leila sat down and, barely having had the time to introduce themselves, they were interrupted. One man, later identified as Amir Taaki, went on stage, followed by about seven friends, one of whom was in full military garb, and started ranting about Robin’s alleged love for Jihadis, Syrian nationalism, Ahrar Al Sham and other such inanities. Robin left and Leila, who had tried to stay and reason with them, ended up leaving too. As for Taaki, he is a British-Iranian who was involved in the creation of BitCoin and who never misses an opportunity to boast that according to Forbes he was ‘their top 30 under 30 list for 2014’. He claims he has just returned from Rojava, an achievement he thought was enough to qualify him to speak on Syria as a whole. That an actual Syrian Kurdish Anarchist from Rojava, Shiar Neyo, was already on the panel didn’t prevent him from trying to hijack it. The self-appointed representative of Kurdistan had sent several emails to Leila demanding a spot on their panel – demanding, not asking. Those of us familiar with this neo-colonial and racist arrogance expressed by foreigners after visiting ‘the region’ for a few months can think of a few Taakis we’ve met over the years. When all resistance proved to be futile, the organizers were forced to let Taaki speak for a few minutes. He then proceeded to speak for as long as he wanted (10-20 minutes before people in the audience started complaining again), and what a monologue it was! He rambled on about how Kurdish culture is inherently egalitarian and how it’s a light in a dark world. He spoke of ancient Mesopotamia, of some bloody pyramids and of how all of that linked to some mystical Kurdish Shangri-La that all Anarchists and revolutionaries must defend. His rambling reminded me of what a book on Orientalism for Children would look like. Taaki told us how he ‘went there thinking that he’ll teach them’ but instead ‘they taught me so much’; ‘these people’ who he described as heroic men and women engaging in guerilla warfare in the mountains while reading Bookchin and Nietzsche (I’m not joking). ‘Kurdistan’ is apparently replacing ‘the Orient’ given that the latter has failed to satisfy westerners who got bored of Aladdin. Not only that, but they were profoundly racist. Taaki, in his Aladdin monologue, listed Turkey and Saudi Arabia as the two most racist countries on the planet, an odd statement given the existence of a settler colonial state, Israel, on one of Syria’s borders or, for that matter, the existence of instutitionalized racism in many countries of the region, including my own, Lebanon, and beyond. One of them even told me ‘you people’. When I asked him what people he was talking about given the fact that I was raised in a Lebanese Arab Catholic family, he went silent. When I lost my patience and yelled ‘f-ing white people’, two of them accused me of being racist against white people. They started yelling about how it’s unfair to paint all of them with the same brush. All Lives Matter, folks. Kurdish friends who later heard about what happened were horrified at how a group of mostly white people used Kurdistan, the Kurdish struggle for autonomy and social justice and pretty much all struggles in and around Kurdistan to fit their orientalist fantasy. Kurds didn’t really exist in Taaki’s monologue. It was a bizarre manifestation of racism mixed with Islamophobia and Kurdish diaspora ultra-nationalism. In fact, when we went back in with Shiar Neyo in an attempt to confront Taaki and his cult followers, who by then had emptied the whole room of its original audience and replaced it with a dozen ‘anarchists’ who all knew one another, his cult followers shut Neyo down and called him disgusting. Neyo soon understood that this was not a crowd that cared much about Rojava, Syria as a whole or anything for that matter. The people of Syria, Arabs or Kurds, were irrelevant to them. Neyo told them that this is not what solidarity looked like and we left. Leila and Robin’s talk was canceled. Neyo’s talk was canceled. Syrian Arabs and Syrian Kurds were not allowed to talk on Syria. Instead, some British guy who hasn’t written a single article on Syria was allowed to control the narrative because he’s been to Rojava, learned Kurdish and ‘about Kurdish culture’. By those standards, I should be Queen of England by now. Never has Said’s ‘permission to narrate’ sounded so relevant to my ears. This was a strange event, one which Leila told me she had never witnessed despite giving countless talks with Robin on Syria. And this included talks with actual Shabbiha in the room. Taaki’s cult followers didn’t seem to have any ‘ideology’ other than engaging in orientalist fantasies. There wasn’t anything ‘anarchist’ about them given that they shut down a panel featuring a Syrian Arab anarchist, Leila, and insulted a Syrian Kurdish anarchist, Shiar. They also repeatedly harassed people, yelled at them and called them Jihadi sympathizers. They refused to stop filming people’s faces despite being repeatedly asked by the organizers and members of the audience to stop filming as this violated the very basic definition of a safe space – especially one on Syria with so many still having family in regime or ISIS-controlled areas. What a funny version of Anarchism it is in which the basic notion of solidarity is rejected. After five years of equivocation on Syria, Glenn Greenwald has finally taken a stance. He is attacking Syria’s leading dissident who spent 16 years in Assad’s notorious prisons for his left-wing politics, whose two brothers were abducted by ISIS, and whose wife was disappeared three years ago. Greenwald’s charge? That Yassin al Haj Saleh doesn’t mention Obama in his criticisms; and that in an interview with The Intercept Saleh accuses most leftists of being Assad sympathisers without naming them. Does Yassin omit Obama in his criticisms? Yes, those are Yassin’s words. He has never been shy to indict Obama or the rest of the world. Does Yassin criticise leftists without naming them? Yassin names and shames them where necessary. But when he is talking about general trends he has no obligation. But let me oblige Greenwald and name one prominent leftist who is objectively pro-Assad: Glenn Greenwald. Sorry Glenn, but that common throat clearing preamble—”Of course Assad is bad but…”—will give you only limited protection when you devote your entire time to maligning and attacking the regime’s opponents. Western leftists would do themselves a favour by listening carefully to the Syrian leftist Yassin al-Haj Saleh. In this interview with Murtaza Hussain and Marwan Hisham, first published at the Intercept, Yassin discusses leftist misconceptions as well as Islamism, secularism, intervention, the ‘Palestinization’ of Syrians and the ‘Israelization’ of the Assad regime. Yassin al-Haj Saleh has lived a life of struggle for his country. Under the Syrian regime of Hafez al-Assad, he was a student activist organizing against the government. In 1980, Saleh and hundreds of others were arrested and accused of membership in a left-wing political group. He was just 19 years old when a closed court found him guilty of crimes against the state. Saleh spent the next 16 years of his life behind bars. “I have a degree in medicine, but I am a graduate of prison, and I am indebted to this experience,” Saleh said, sitting with us in a restaurant near Istanbul’s Taksim Square. Now in his 50s, with white hair and a dignified, somewhat world-weary demeanor, Saleh, called Syria’s “voice of conscience” by many, has the appearance and bearing of a university professor. But he speaks with passionate indignation about what he calls the Assad dynasty’s “enslavement” of the Syrian people. Saleh was living in Damascus in 2011 when Syrian civilians rose up to demand political reform. That protest movement soon turned into open revolution after government forces met the protestors with gunfire, bombardment, mass arrests, and torture. From painful firsthand experience, Saleh knew the cost of challenging the Assad regime. But when the uprising started, he did not hesitate to join it. He left home and spent the next two years in hiding, helping Syrian activists organize their struggle. By late 2013, Syria had descended into anarchy. The conflict between the government and a range of opposition forces had become increasingly militarized. Like many other activists for the revolution, Saleh was forced to flee across the border to Turkey. That same year, armed groups in the Damascus suburbs kidnapped his wife, along with three other activists. ISIS kidnapped his brother in 2013. Neither has been heard from since. Saleh is now among the millions of Syrians living in Turkey as refugees. He travels the country helping to train Syrian writers and activists in exile, while writing and speaking about his country’s plight. As a leftist, he has also been a vociferous critic of a growing international consensus that has come to see the Syrian conflict in Bashar al-Assad’s terms — as a fight against terrorism. Our interview with Saleh is presented below, lightly edited and condensed for clarity. This won’t be a headline. And it happens every day. Either Russian or Assadist planes bombed two schools in the small town of Hass, Idlib province, this morning. The video below shows a citizen journalist heading to the scene. I’ve seen much worse videos of this specific slaughter. One shows mothers screaming in total despair over the body parts of their children. The current death count is 35, most of them children. There are many injured. I visted Hass very briefly in June 2013 on the way back to the Turkish border from Kafranbel. Hass is the next town along the road after Kafranbel, and like Kafranbel it’s a hotbed of democratic revolutionaries, not jihadists. Beyond that, the people are warm and welcoming rural Syrians, always willing to offer hospitality. In return the world ignores their torment. It’s interesting that Assad has been sending surrendered civilians from revolutionary communities to Idlib province. The surviving people of revolutionary Daraya, for instance, were transported to Idlib. Then the families of Iraqi Shia militias began moving in to evacuated Daraya. Russian officials have said they want people from liberated Aleppo to be transported to Idlib too. It looks like the emerging plan may involve a vast Sunni refugee camp across the province. Turkey may provide aid, and even be responsible for policing it. Some of the refugees in Turkey may ‘return’ there. Assad/Russia/Iran keep the cities of what the French called ‘useful Syria’. If Idlib gets too noisy, it will be bombed. Like Gaza but on a larger scale. It’s worse than just a shame that people in the West rely on their own ignorant, ideology-driven ‘informants’ on Syria, from Cockburn and Chomsky to Landis and Kinzer, rather than seeking out the analysis of progressive Syrians, people who actually understand the country and its people from their first-hand experience of life and struggle. This is particularly the case when Syria boasts thinkers of the standard of Yassin al-Haj Saleh, surely one of the most significant intellectuals in the world today. In the article below, first published in Arabic and English at al-Jumhuriya, Yassin considers Syria’s past, present and possible futures. He makes the key point that the question of tyrannous Sunni majority rule will never arise in Syria, because there is no ‘Sunni Arab majority’. 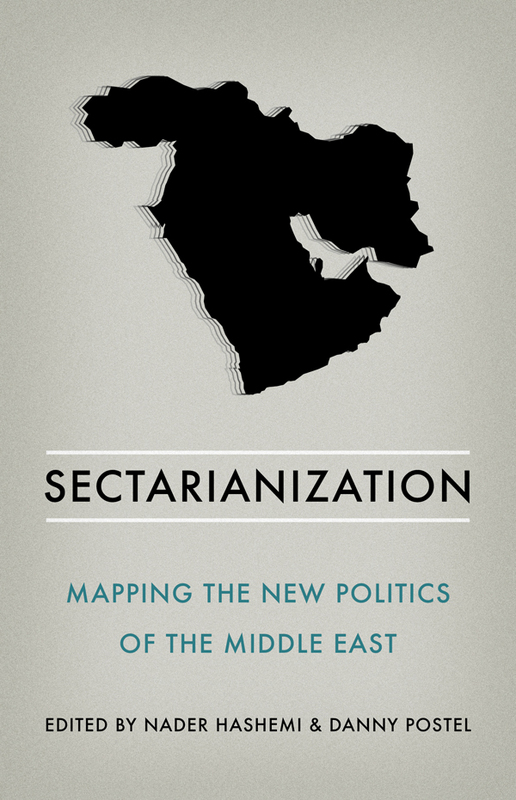 Though Sunni Arabs are a majority of the population, they are incapable of unifying into a political force, because their Sunni Arabism is only one component of their identity. They are divided by class, region, urban or rural location, lifestyle, education, as well as schools and shades of belief. Any government in the name of the ‘Sunni Arab majority’ would inevitably use the name for propaganda purposes, and would inevitably be another minority regime, drawn from one narrow subsection of Sunni Arabs and having to violently subdue the rest. (This is entirely true. More than that, even amongst Sunni Islamists, there isn’t a majority view on the shape of government or those who should draft and staff it). Yassin’s thoughts on the western desire to ‘protect minorities’ (an old colonial trope now most visible on the fake left) are invaluable. His take on the Kurdish issue is a brilliant antidote to western leftist fetishisation of the PYD. This article is addressed to an unidentified, moderately informed and well-meaning reader, and it suggests to them a vision for a just Syrian resolution, examining potential problems and hindrances in its path. What is a resolution in Syria? Syrians engaged in public affairs are always being asked about our conception of a resolution to the Syrian conflict. Rarely is the question a mere inquiry about what just resolutions may be possible. Instead, it is usually to provoke a concession that the issue is “complicated,” the resolution beyond the realm of possibility, or perhaps, that a solution is not attainable without setting the clocks back to a time before March 2011. Apart from that, the question often stems from a deafening ignorance of the history of political dissent in Syria, and of the squashed struggles towards democratic transition by a previous generation of Syrians. This line of questioning is also divorced, from any insight, albeit modest, of the different phases leading to the current juncture in our struggle. Nevertheless, this article tackles that question of resolution directly, imagining an earnest unidentified reader, who genuinely aspires to a just resolution to the prolonged Syrian calamity, or one at least in the vicinity of justice. Let’s get to the heart of the matter: A just solution in Syria should be based on establishing a new political majority in the country, one in which an expanding majority of Syrians become familiar with its political representation, and do away with minoritarian, oligarchical rule, in turn laying the foundation for a new Syria and an assimilative Syrian regime. This requires the end of Assadist rule, and of Daesh and any Salafist-jihadist groups, in addition to instituting political and cultural equality for the Kurds with no nationalistic hegemony . It requires laying the foundations for a democratic Syria that is based upon citizenship. Khalek’s piece was well received by others who prefer to omit the words “barrel bombs,” “cruise missiles” and “starvation sieges” from their coverage of Syria’s humanitarian crisis, which has seen roughly 500,000 people killed since 2011, the majority, according to the U.N., killed at the hands of the Syrian regime and its allies. Russia’s RT and the state-run Syrian Arab News Agency both amplified the story’s conflation of targeted sanctions against Bashar al-Assad and his top officials with an all-encompassing economic embargo. “US and EU economic sanctions on Syria are causing huge suffering among ordinary Syrians and preventing the delivery of humanitarian aid, according to a leaked UN internal report,” wrote The Independent’s Patrick Cockburn. The problem for The Intercept and those who reported on its claim is the oft-unwelcome truth among those committed to blaming someone other than Bashar al-Assad for the bulk of the suffering in Syria: The only hint of truth in Khalek’s lede is that Syrians are suffering through the worst war the world has seen since Adolf Hitler’s self-inflicted demise in a bunker underneath Berlin. The latter clause is perhaps intentionally suggestive: “official,” if you know what I mean. What is not explicitly stated is that the report that was “obtained” was a report available freely online at least four months earlier, authored not by a U.N. official or agency but by an official, Justine Walker, at the British Bankers’ Association, an organization institutionally inclined to favor Western trade with literally whomever, capital and those who possess it not troubled by grave violations of human rights. Attributing one view solicited by an organization to the organization as a whole is like suggesting an OpEd from the foreign minister of Iran reflects the institutional take of The New York Times, which after all commissioned it. And yet: The headline, and the lede, persist, admitting a fatal mistake as hard for some as admitting who is chiefly to blame for punishing ordinary Syrians. An astounding range of useful idiots and agenda-driven counter-revolutionaries have propagandised for the genocidal Assad regime in the last five years. Some, like David Duke and Nick Griffin, are honest about their hard-right, Islamophobic and racist politics. Others, including the ‘anti-imperialists’ who support the Russian-Iranian war-on-terror in Syria, and the ‘leftists’ who support the crony-capitalist Assad’s assaults on working-class communities, are much less so. Added to the list is the sectarian orientalist Joshua Landis, who poses as an academic while propagandising for both Assad and ISIS. In an article first published at the Huffington Post, Mohammed Ghanem takes him to task. Over the past five years, Syria advocates have become well-acquainted with their most vociferous opponents in the American foreign policy debate. These analysts often have a grand theory that causes them to neglect key facts on Syria. They may have a reflexive mistrust of all claims made by the U.S. foreign policy establishment, an undue focus on “realist” theories of global politics, a mistaken belief that the Assad regime is “secular” and “anti-extremist,” or adamant anti-interventionist political views. In the case of University of Oklahoma Professor Joshua Landis, the grand theory is sectarianism. Last week, I phoned in to a “Wilson Center” briefing that included Landis and was shocked to hear him say “I went through my mind thinking, Could one say that Shiites are better than Sunnis? And ultimately, I decided that this was a losing effort.” This rhetorical device, called paralipsis, seeks to highlight a rhetorical point by emphasizing that it was not mentioned. It usually is only a prelude to mentioning the point later, as it primes the audience to listen for exactly that point. 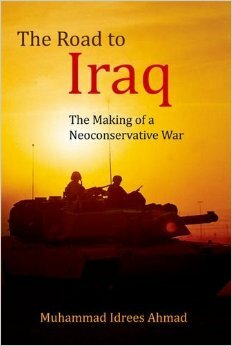 And indeed, Landis later wished for Iran, the main Shiite power, to win in Syria: “One side has to win…[It’s] more or less a done deal that Russia and Iran are closing this out…Allow it to happen.” Landis also stated, “The United States has been destroying Sunni rebels” in Iraq, while “Russia has been doing the same in Syria,” as if the ISIS insurgents America targets in Iraq can be equated with the civilian hospitals and residential neighborhoods that have borne the brunt of Russia’s air assault in Syria. Landis, who maintains the blog Syria Comment, is one of the only academics to have focused on Syria’s domestic politics since 2004, and to be fair to him, Syria’s war did become steadily more sectarian with time due to Assad’s practices. Landis was also correct when he predicted in the spring of 2012, when many observers believed Assad was about to fall, that the regime would survive the year and beyond. But Landis’ stellar academic qualifications on Syria do not excuse his consistent distortions of the fundamental nature of the conflict ― always, it should be noted, in a pro-regime direction.